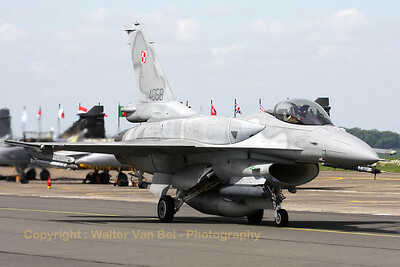 A Polish Air Force F-16CJ from 6.elt (4058; cn JC-19), on the taxiway prior to take-off from Cambrai's RWY28 during the Nato Tiger Meet 2011. 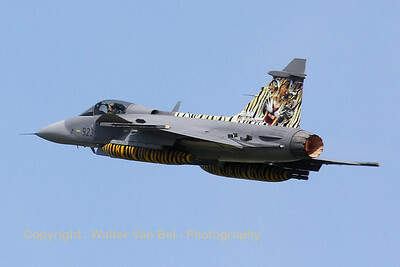 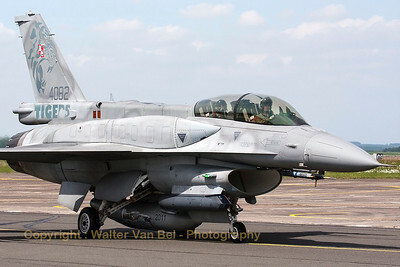 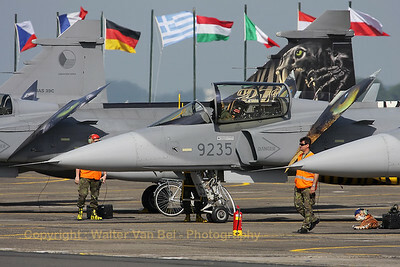 This Polish Air Force F-16DJ - from 6th FS (6.elt) - has not only been adorned with toned down tiger-marks on its tail but it has also a special c/s on its centerline fuel tank (Nato Tiger Meet 2011 at Cambrai). 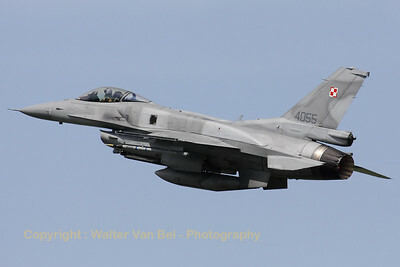 This Polish Air Force F-16DJ (4082; cn JD-7) - from 6th FS (6.elt) - has been adorned with toned down tiger-marks on its tail (Nato Tiger Meet 2011). 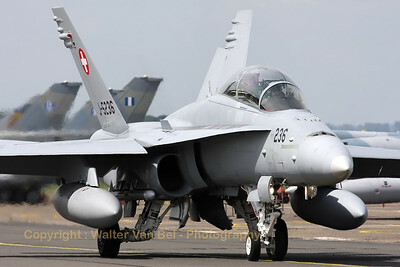 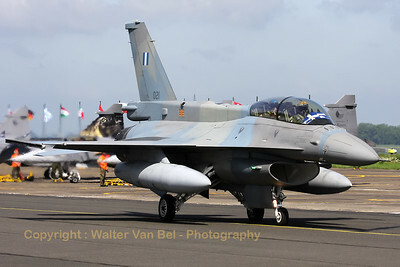 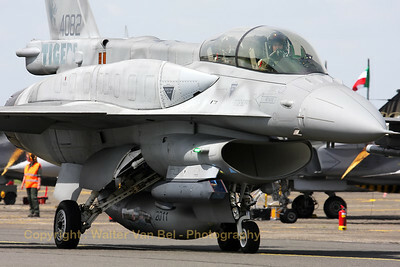 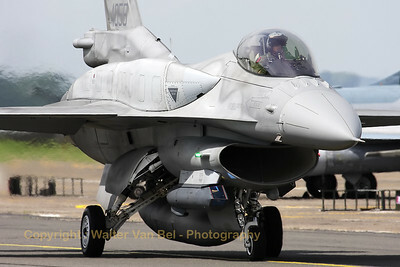 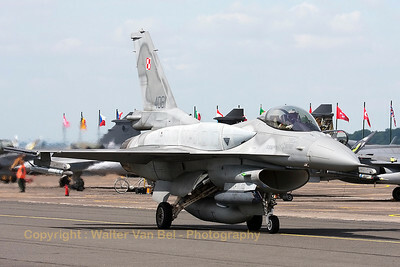 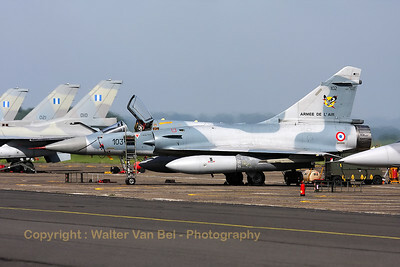 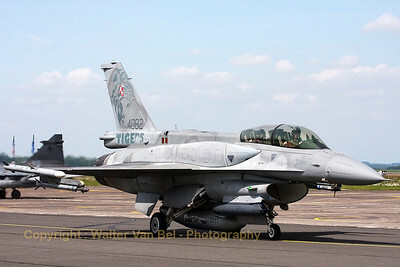 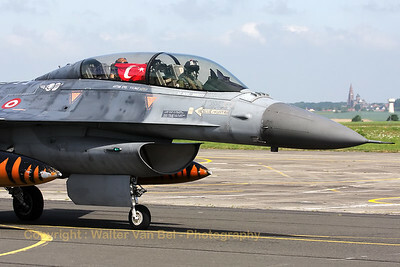 A Polish Air Force F-16CJ from 6.elt (4061; cn JC-22), on the taxiway prior to take-off from Cambrai's RWY28 during the Nato Tiger Meet 2011. 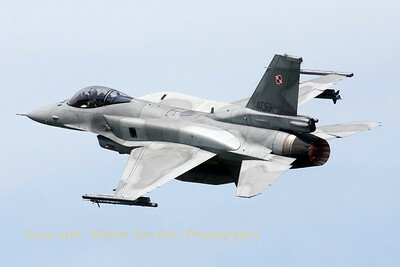 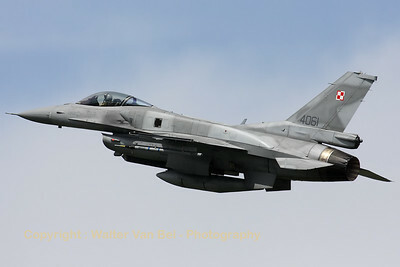 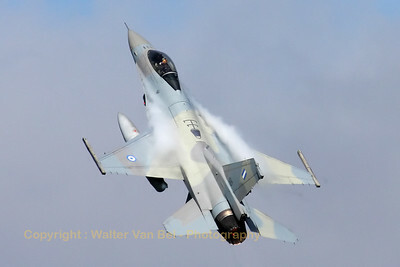 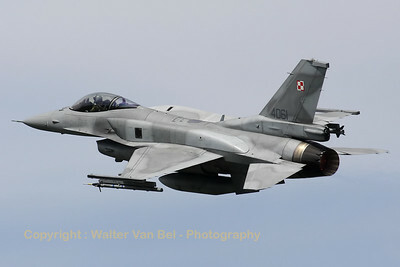 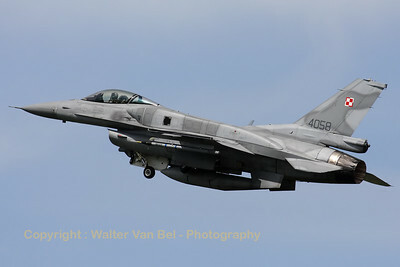 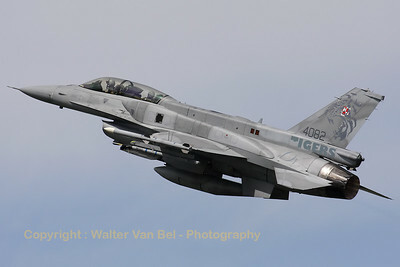 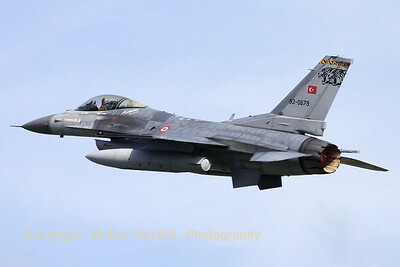 A Polish Air Force F-16CJ from 6.elt (4058; cn JC-19), on take-off from Cambrai's RWY28 during the Nato Tiger Meet 2011. 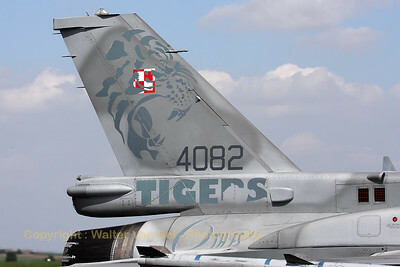 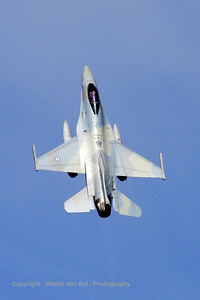 This Polish Air Force F-16DJ (4082; cn JD-7) has been adorned with toned down tiger-marks on its tail. 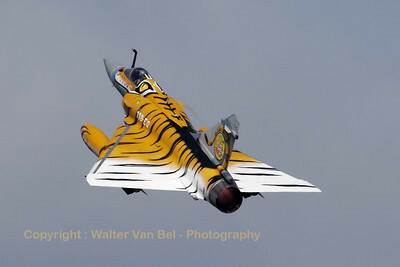 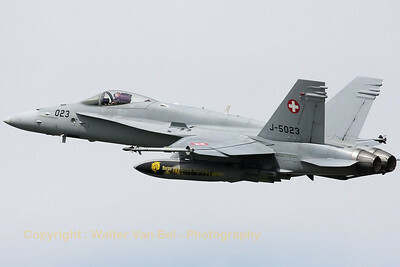 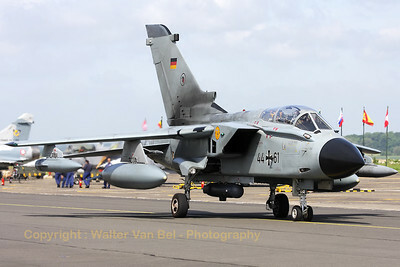 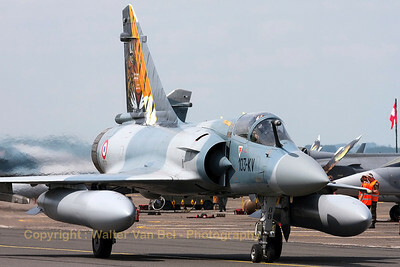 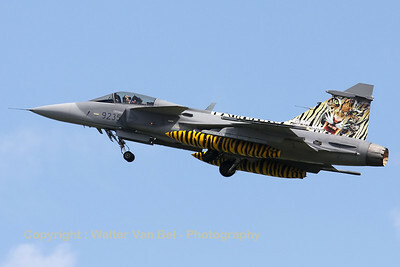 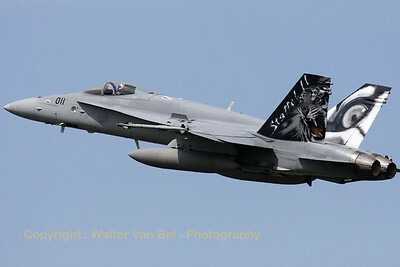 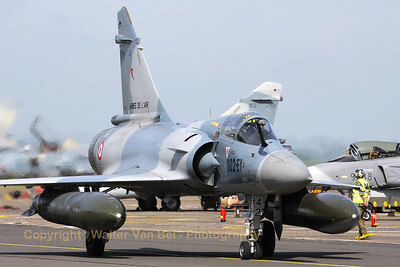 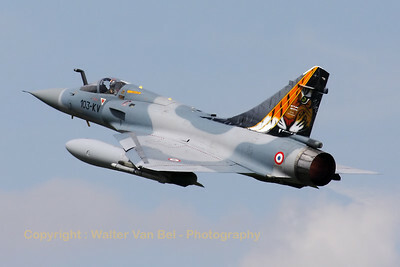 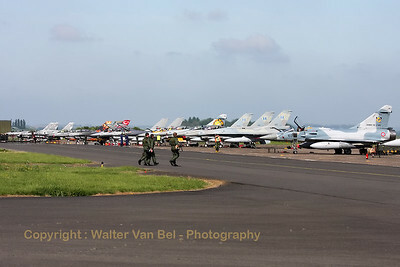 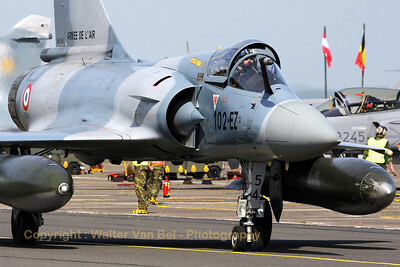 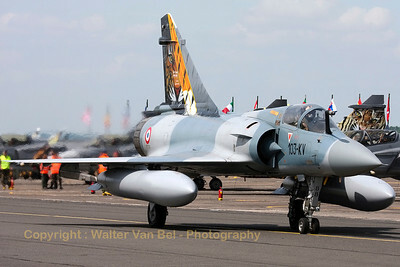 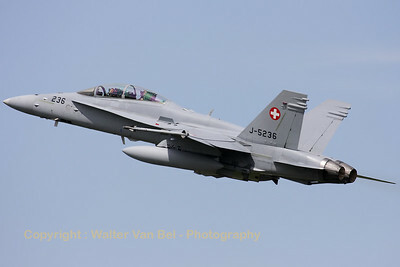 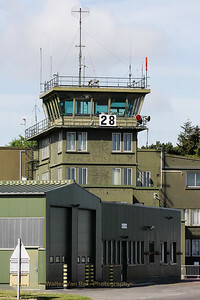 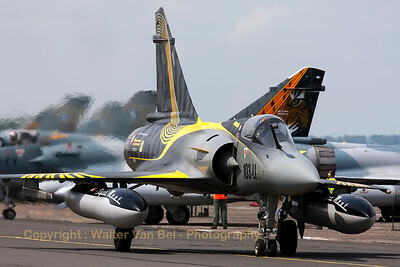 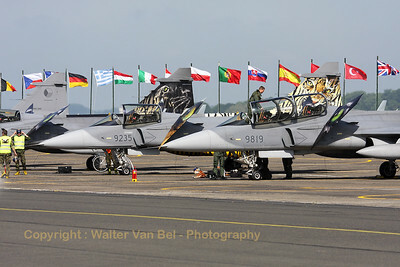 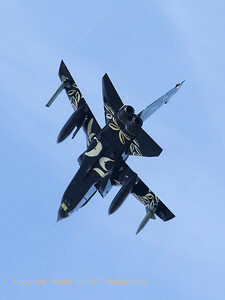 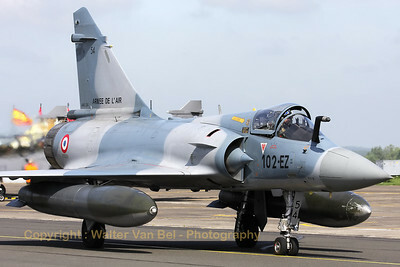 It is seen here taking off from Cambrai during the Nato Tiger Meet 2011. 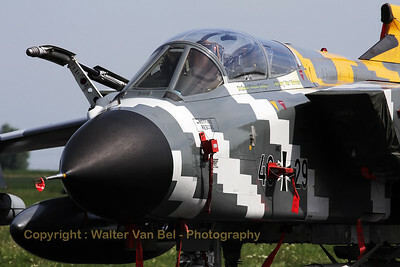 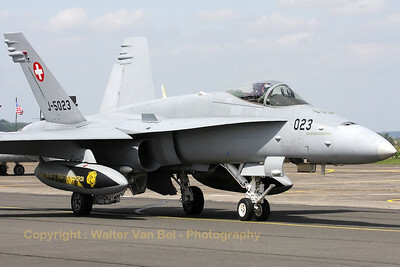 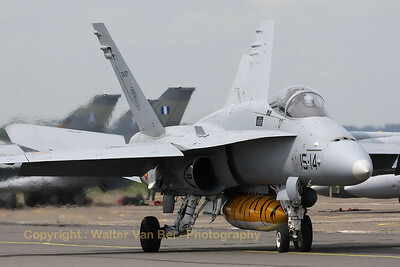 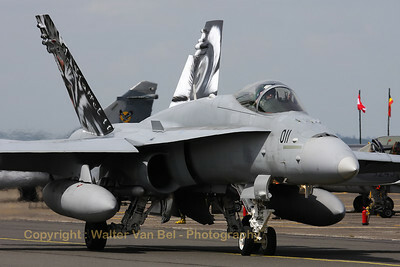 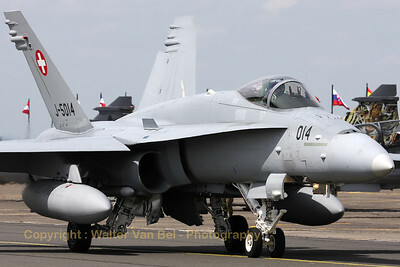 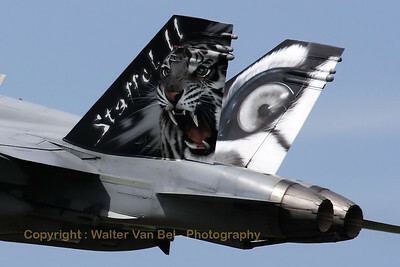 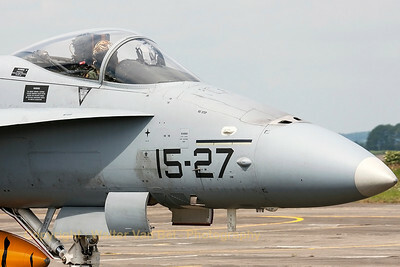 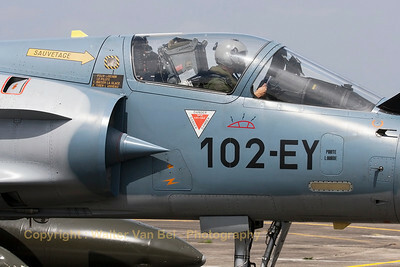 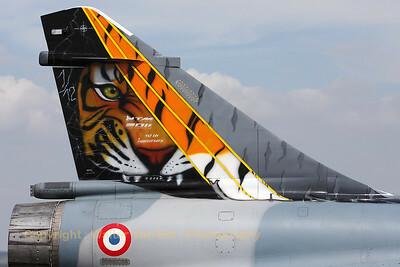 Close-up of the Spanish Air Force EF-18A, during the Nato Tiger Meet 2011 at Cambrai.